Health Alert today is the American dream come true. But when I first talked to the owner, it truly was only a dream. How did he turn an idea into a multimillion-dollar company? What was the marketing secrets-the keys to success? Dr. Bruce West called me over 25 years ago. He wanted to share his knowledge of alternative health protocols – before the national health movement took off – and make a living at it. 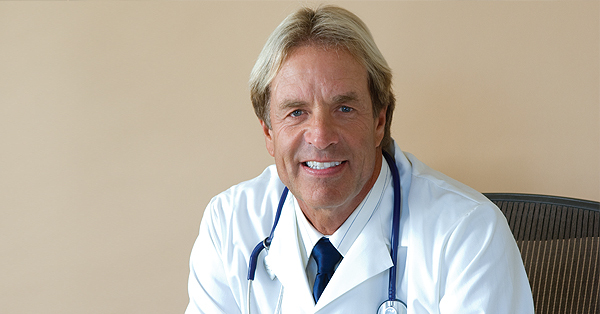 Dr. West’s original goal was to market a newsletter on alternative health to medical professionals and offer supplements. I suggested instead, the 50-plus target group and to market to the consumer and Dr. West agreed. So my company, CDMG, created some of the keys to a successful launch. This includes the branding, the positioning, defending the unique selling proposition (USP) and creating a personality. In addition, we developed a powerful offer so the project could begin. From writing his newsletter on the kitchen table in a rented house, the newsletter grew to one of the largest health newsletters and supplement companies in America. Starting from nothing, Health Alert currently has about 80,000 paid subscribers (average unit of sale $68.00), a powerful renewal rate and recurring income from nutritional supplement sales makes Health Alert among the top three health newsletters in America, and a multimillion dollar corporation. Despite recessions, market crashes, intense competition from large corporations, changing technologies, new media and communication channels, we continue to help build this company into the largest independent alternative health service in America. And Dr. West now owns the property he once rented… and much more. Over the years, CDMG has won six gold awards for Best Marketing Campaign of the year (out of our 78 awards) for the campaigns we did for Dr. Bruce West and Health Alert. Health Alert went from a dream to a multi-million dollar reality for Dr. West because of superior marketing and media selection. I’d love to talk to you about your product or service. Call me at 310-212-5727 or email craig@cdmginc.com.